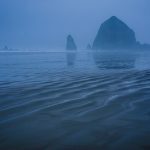 Every year on our snowbird trip, when we go south to find the winter sun, we travel on Highway 101 along the Oregon coast, eagerly anticipating each curve in the road that reveals sea stacks, ocean waves, and the rugged coastline. We’ve driven the road 15 times now (an odd number because one year we went to the east coast in spring and drove all the way around the USA in a big circle). There is certainly no shortage of amazing places to see and photograph along the way. I probably could have made a list of 20 excellent stops for photography. But over the years a few places have stood out as being astonishingly beautiful with guaranteed great shots in any weather. You never know what you’re going to get on the Oregon coast. It could be foggy, rainy, sunny and calm, stormy, or you might even get sand blasted on a windy day. But there’s always something and it’s always fun. There must be room to explore. I love to wander around and find new things and new perspectives. If there is only one shot, it wont make my list. It must be reasonably accessible. If it requires a 20 mile hike in the sun, rock climbing, or rapelling into a canyon, it isn’t for me! I like to hike, but I’m no athlete. I like to be able to camp nearby, ideally right on the spot. I don’t mind a short drive to get somewhere for sunrise, but if it’s a 2 hour drive before sunrise, it probably wont make my favourites list. Of course, on the Oregon coast, every place is a sunset location. I dislike crowded locations. I love the quiet and solitude found in nature and that’s usually what it takes to make my favourites list. 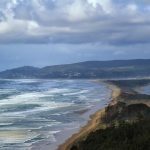 Quick tip: if you are planning on driving the Oregon coast in both directions during a single trip, plan your roadside stops (of which there are many) for the southbound trip. All the pullouts are on that side of the road, so if you stop on your way south it is much easier. Click on the little square in the top right corner of the map to view it in google maps with more detail. I’ll always think of this as Oscar’s favourite beach. My old beagle loved the beach and this was his favourite one. Miles of sand will do that. While Haystack Rock is the main attraction, I prefer to photograph the Needles. Where to camp: We always stay at Nehalem Bay State Park where there are sites large enough for the RV. It’s about 25 minutes south of Cannon Beach. This is a fantastic spot for photographing waves crashing into the rocks, washing up and over rocks, or waves rushing back out to sea. The first shot below you can get right from the parking lot without hiking anywhere. For other shots, you’ll need to hike a little up onto the hill for different perspectives. Where to camp: When we visited here, we were members of Thousand Trails, so we stayed at Pacific City Thousand Trails just 5 minutes away. But there are plenty of other campgrounds in the area as well. This is probably a place that most people drive right by. I only found it because our truck broke down one time and we were stuck there for a few days. At first the beach may seem like any other, but over the years I have found it to be extraordinary once you start looking. I’ve found new sea creatures I’ve never seen before called Valella Valella shown in the first shot below. They are a jelly and also knows as “by the sea sailors” since their body acts like a little sail. 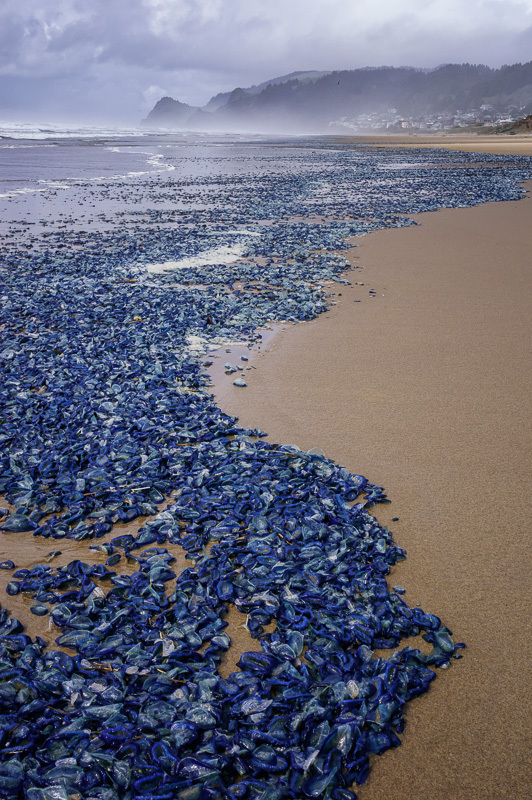 Given the right ocean currents, they sometimes wash up on shore in the thousands. I’ve also found giant mussels, strange tiny clams, and hundreds of sandpipers. Its seems there is always a new discovery to made there. Where to camp: Free camping can be found at Chinook Winds Casino where you can stay for a few days in the parking lot right above the beach. After that you have to gamble a bit to stay longer. Or they also have an RV park next door. My favourite photography spot in Depoe Bay is not right in Depoe Bay itself, although it’s definitely worth checking out. 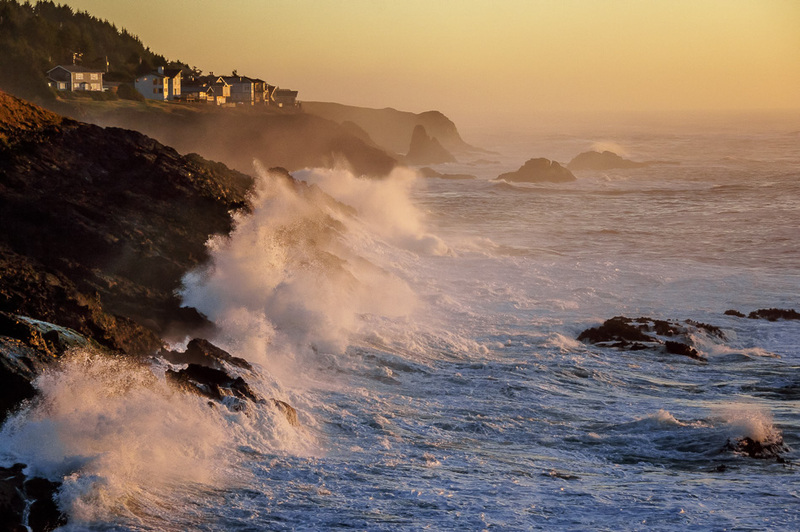 Just north of Depoe Bay there is a highway “scenic viewpoint” called Boiler Bay that provides great photo ops. 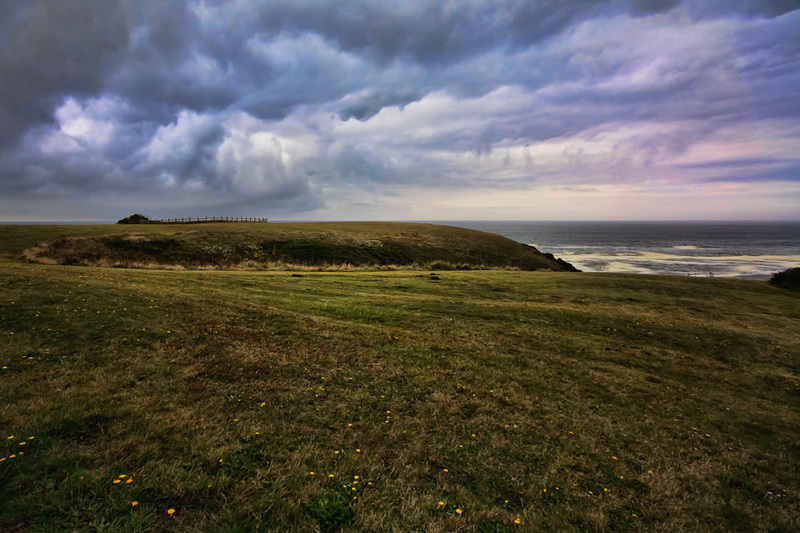 Where to camp: Since Depoe Bay is only 25 minutes south of Lincoln City, we stay at Chinook Winds Casino. Newport is a quaint fishing village that is never crowded (at least not in November or April when I am on my way through) and has hundreds of cool things to photograph. You’ll find all the sorts of things you would expect to see in a fishing village like piles of traps and floats. 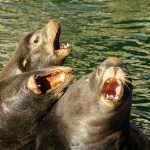 In addition, there is a sea lion dock where the sea lions like to hang out and bark at each other. 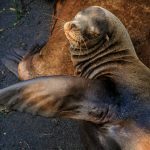 If you ever want to get up close and personal with sea lions this is the place! You’re not too close though because you can’t actually get on their dock. You can photograph them from a different dock just above them which gives a great perspective. Where to camp: South Beach State Park is on the south side of the bridge and has great photo ops of its own. Located only 10 minutes from the next location on the list, Bullards Beach deserves its own mention since the beach is so different from the other locations listed. Home of the Coquille River Lighthouse, the beach has a ton of driftwood. Between the jetty, the agates on the beach, the grassy dunes, the driftwood, and the lighthouse, there is plenty to photograph here. Where to camp: Right here in Bullards Beach State Park. Great campground! This is my all time favourite place on the Oregon Coast. Every time I go it is different. I have so many photos it was really hard to choose just a couple to show you. I chose Face Rock at sunset so you can see this unique feature. The other photo shows Ray enjoying the incredible view at sunset (even on a day with no clouds) during our most recent stop. 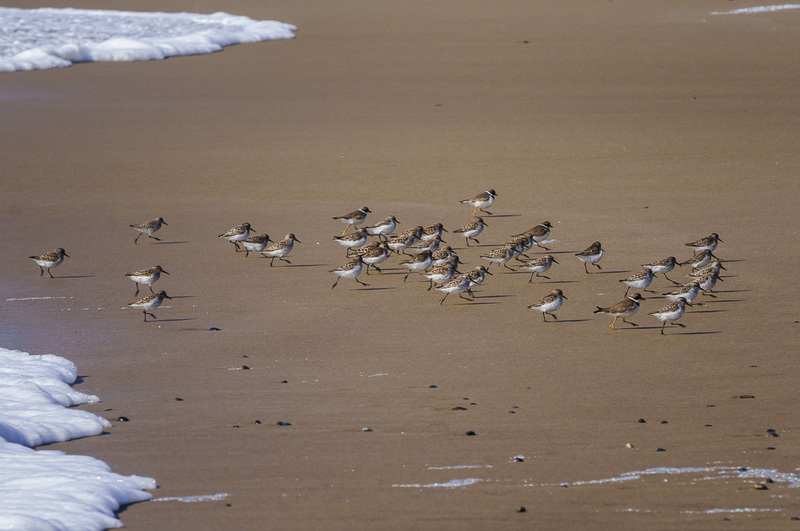 Where to camp: 10 minutes away at Bullards Beach State Park. You might recognize this place from various car commercials that like to pick this spot since the highway goes right by and around a corner giving you a quick glimpse of these gorgeous sea stacks. But we discovered a spot to stay here one time when the weather was so bad that we just had to stop driving. We could barely see a thing at all so we pulled into one of the scenic viewpoints to wait it out. I remember telling Ray we should just stay there overnight if it didn’t clear because no highway patrol officer would kick us out during that storm. Turns out, we made a great discovery. And we didn’t get kicked out. Where to camp: There are two scenic viewpoints on the highway. The one on the south has signs that say no overnight parking. The one on the north does not and that’s where we parked overnight on two occasions. 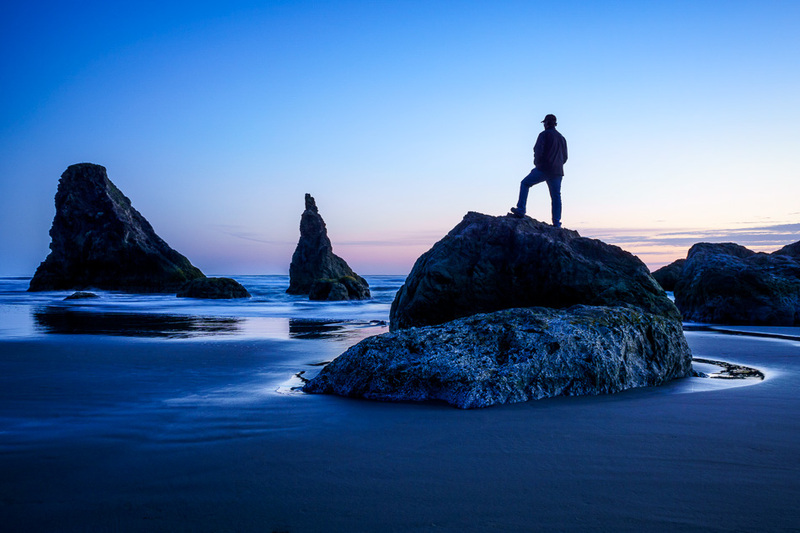 I’m always looking for new places to discover, so if you have a favourite spot on the Oregon coast, let me know in the comments! This is the just the second of my Location Guides. What other places would you like me to cover in this series? If you enjoyed this post, don’t forget to “Pin It”! The gorgeous photos had me wishing I could spend more time in Oregon. 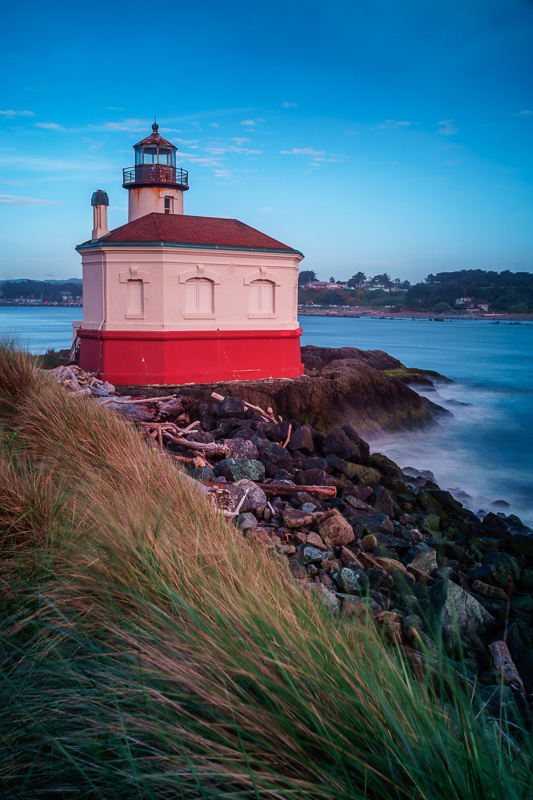 Those 8 favorite Photography Images of your are more successful, in which also includes the Coquille River Lighthouse in that has became a good blessing, for now!!! Keep up the good work, and from now on!!! Thanks for the great photos and info. Have you considered visiting the Willamette Forest area, as well as the many covered bridges and waterfalls? Hi William, no we haven’t been there. We haven’t ventured very far off the coast actually. I just looked at some photos from there and it looks like there are some really pretty lakes and waterfalls in there, so thanks for the suggestion! All lovely places but you seem to have missed Netart’s Bay to Cape Meares. Alas, one life and so many places. I don’t think I’ve been to Netart’s Bay so I’ll have to check that one out. I remember going to Cape Mears quite a few years ago so it’s probably time for a return visit. Thanks for the suggestions Andy. Great job, Anne. Would love to get to that area once of these summers. I think the Oregon coast is often quite foggy in July and August. I’ve been in September and it was gorgeous then! Thanks for your comments Paul. These are lovely photographs. Thank you for sharing them. They make me so excited to head off to Oregon! Glad you enjoyed them, thanks for your lovely comments Barbara! I particularly liked the Bridge at Newport and Face Rock. I guess there is a particular spot you have to stand to see ‘The Face’ that is; to stand a few yards left or right would mean you would get a totally different silhouette and you wouldn’t see the face. Hi Alex, Yes, you’re right about the face, you have to be positioned correctly to see it. Otherwise it’s just a big rock 🙂 Well the good thing about not going on a coach trip is that you get to be here exactly at sunset and not in the middle of the day. Thanks for your comments. 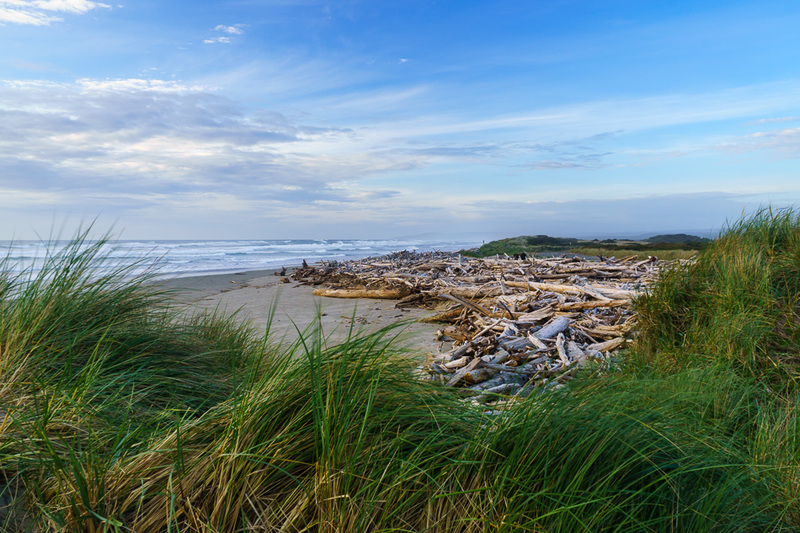 I also like the sand dunes near Reedsport, when the weather’s right its awesome….Fine article! I’ve only been there once and it was nice. I admit I’m a bit spoiled by the incredible sand dunes in California, so I don’t usually stop at the ones in Oregon. However, if you’re not going to California it is definitely worth a stop there. Thanks for your comment Ernaldo. You are most welcome George, I hope you get a chance to see some of these gorgeous spots. 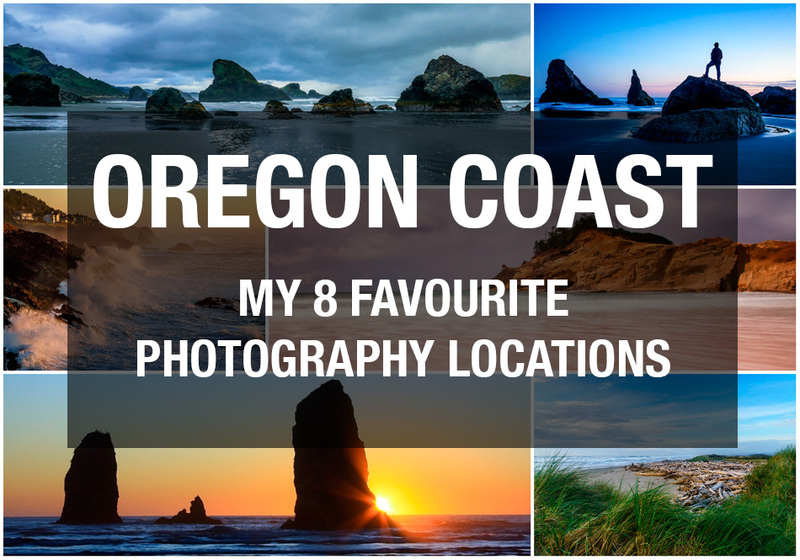 It was hard to keep it to just 8, but I only wanted to list spots where you can get a variety of photos and places where I have had the most luck. Many thanks for your comments Susan. Where’s Myers Beach please? South of Bandon but how far? Thanks! Hi Vonelle, there is a map there in the post. If you click on the little square on the top right corner it will open in google maps and you can see exactly where it is. I think there are even GPS coordinates. But it is about 10 or 15 miles or so south of Bandon. Those are among our favorites also, and Bandon is right at the top of the list too. We’ve vacationed in Oregon (and Washington) more than anywhere else. We love the coast, and the Oregon waterfalls run a very close second. Love your posts! We got a chance to see just one of the waterfalls in Oregon this spring coming north and it was gorgeous. We haven’t seen a lot of the famous ones yet. There’s so much to see in Oregon! To think all of these places on the list are right on the coast. We’ve hardly seen anything inland and I know there are so many great photography spots there. Thanks for your comments Tom. I too traveled east to Ottawa then south to Pennsylvania and traveled the edges all the way back to Vancouver Island . My favourite place was the Oregon Coast and I go back as often as I can . Great shots and you’ve mentioned some campsites I didn’t know . I’m in the process of releasing my house to become a traveler on a more full time basis . Your journeys are very inspiring ! Thanks, Lois . Congratulations on becoming a full time traveller Lois! It’s a great life. My husband and I both love it. I thought I would miss the house at least a little but I don’t. I missed my lazy-boy chair until I got a nice comfy chair for the RV 🙂 Thanks for your comments Lois. I’m not quite there yet – still need to get rid of the house ! I’m a potter and bead maker and want to keep on doing this , The beads are easy in an RV and the pots can be done in studios where I rent space – did this in St Petes in Florida and I would like a way to have a work space for the time I need to “be here in Canada” to retain my perks ! Any ideas ? Hmm… that’s a tough one since I don’t know much about pottery. I guess it depends on where in Canada you plan to be … maybe you have friends or family who will rent you some space in a house. You’ll need an address to use as your permanent address as well. Anne I love your emails and website. I have just retired and I am just getting into photography. I think you should come to Australia there are great photo opportunities over here, I think you would love it. I live in Newcastle NSW. Newcastle is a coastal City with great beaches and we have the vineyards and wineries of the Hunter Valley only an hour away. Greg, we have often thought that we would like to do an RV trip in Australia. Outside of North America, it’s one place where you have the space to drive an RV long term and see wilderness places. We have an old dog right now though and she wouldn’t be able to make a trip so far away. One day though! Cannon Beach is my favorite. I haven’t been there in a number of years. But is truly amazing. It is. I love Cannon Beach too and it always makes me remember my old dog Oscar who loved it there. 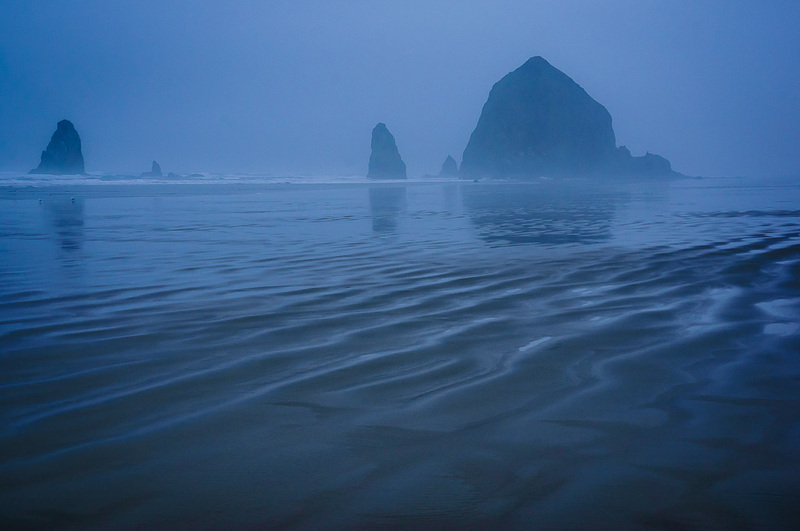 It doesn’t matter what the weather is like, Cannon Beach is always incredible. Some of my favourite photos are the time we were there and it was super foggy. It was very dramatic! Thanks for your comments John. Hey Arno. We were going to go to Hug Point on this last trip. I had it all planned out, but then on the day it was really cold with white sky so we didn’t bother going. But it’s definitely on my list. I have been to Ecola many years ago. It’s nice, but I always end up driving by in favour of Cannon Beach 🙂 I should really give it another visit. Thanks for the suggestions. Hi Anne Ron from Australia. We had the opportunity to visit OR and your photos Now make me sad we missed out. These are beautiful photos and as Susan said don’t know how you kept the tour down to eight shots. Well done and look forward to seeing many more photos from you. Hi Ron, well I guess you’ll have to come back now although it’s a long way from Australia! But anyway even if you missed these places I’m sure you saw some other excellent spots because Oregon is chock full of them. I hope you enjoyed your trip to Oregon. Thanks for your visit and comments. Wonderful photos. My favorite: the first one “Cannon Beach”. Beautiful images, Anne! Thanks for letting us see what you saw there. Many thanks Johnnie. Glad you enjoyed the photos. You live in a beautiful part of the world too. One of my favourite spots from our trip around North America is Jekyll Island in Georgia. I’d love to go back. Great article and fabulous pictures, Anne. I hope to make it to Oregon someday. Great photos Anne. That view from the parking lot in the middle of town is something few cities can match. We too are full time nomads. We own a storage business in Lincoln City so we visit the area frequently. I also taught photography to dentists for many years and have published a book and many articles about intraoral photography. I only mention this because I am constantly impressed by you ability to truly capture the essence of a place i,e, the Heceta Head lighthouse that you showed a week or two ago. I thought I had replied but can’t find it.. Our storage business it across the street from the entrance to the factory stores. www,devilslakestorage.com. The mural is of a photo I took of the annual kite festival. Hi Anne. South of Coos Bay, out on Cape Arago is Shore Acres State Park, It’s known for some historic formal gardens,and sea lion rookery, but offers lots of hiking opportunities that take you out on headlands with little coves and beaches, interesting geology, ancient coastal forests, and really big waves during fall and winter storms! Hi Steve, we actually went there during our most recent trip through Oregon this spring. 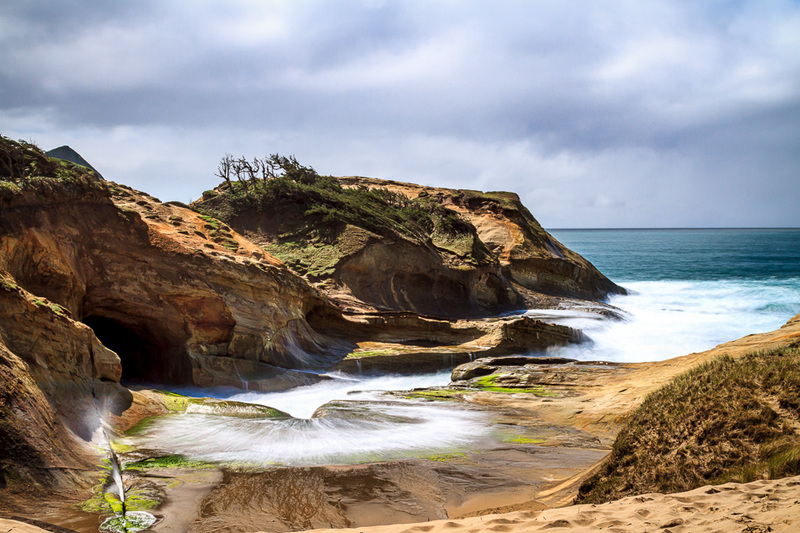 Cape Arago was great, but it was mid-day so I just scouted it out for a future trip. Shore Acres though … no dogs!!! What a drag. I was really looking forward to it, but since we had Angie in the truck on a warm spring day, we couldn’t stop there. 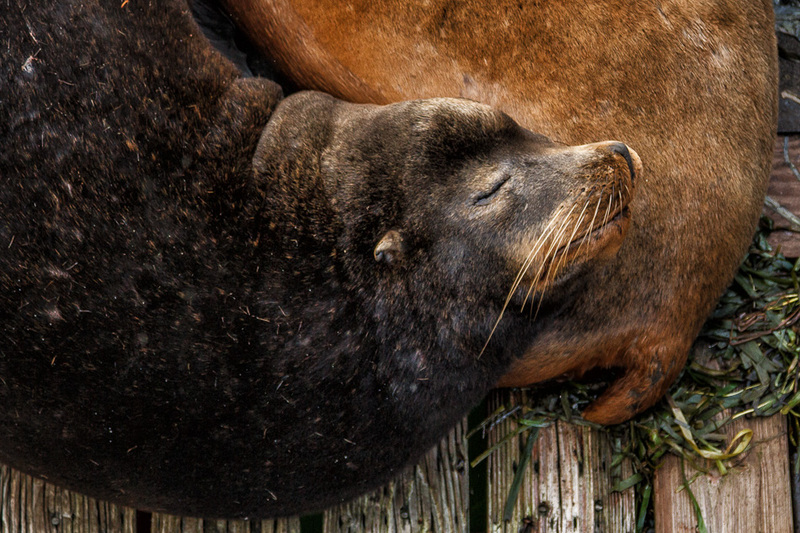 I can understand no dogs where the sea lion rookery is, but what about the rest of the park? I hope to get a chance to go there another time when we can leave Angie in the RV. Thank you very much for the suggestions, always appreciated. Shore Acres is probably better in the fall anyway when there are bigger waves. 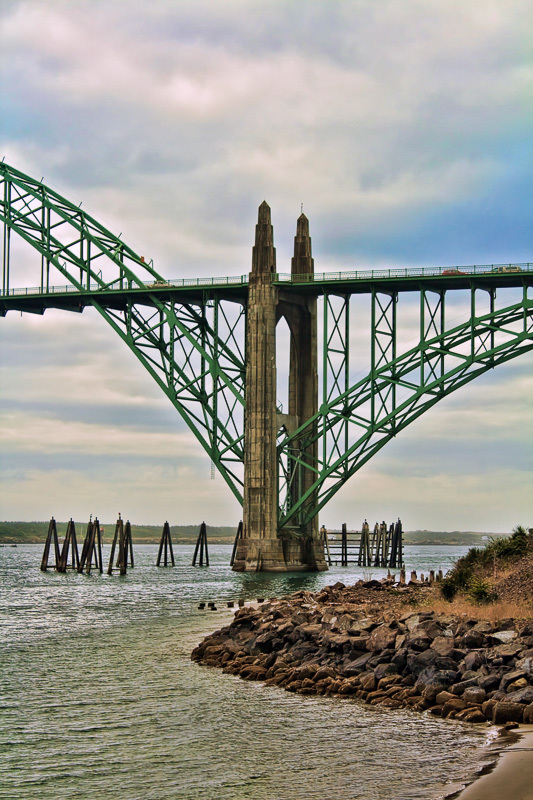 Very Beautiful Images Anne – Travelled from UK 2015, touring USA, stopped off in The Beautiful City of Portland, wish we had done more research, as after seeing these beautiful images, we missed out big time. “So Possibly On My Next Visit To USA. Hi John, you didn’t make it to the Oregon coast? That is unfortunate. I think we drove though Portland one time, but I don’t really like cities, so we didn’t stop there. Well now you have a good reason to come back 🙂 Thanks for your visit and comments. 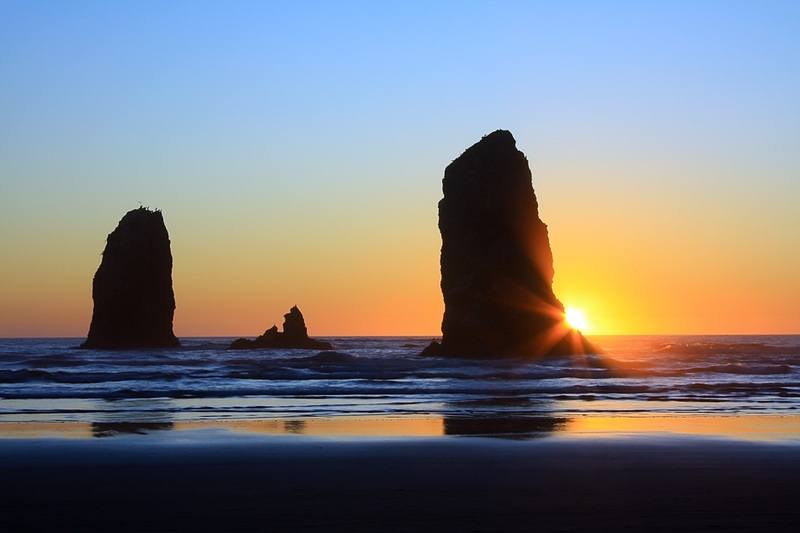 Through your personal experience and wonderful images you paint a most inviting picture of Oregon. Great to hear! It really is an inviting place with so much potential for amazing photography. Thanks for your comments Brian. 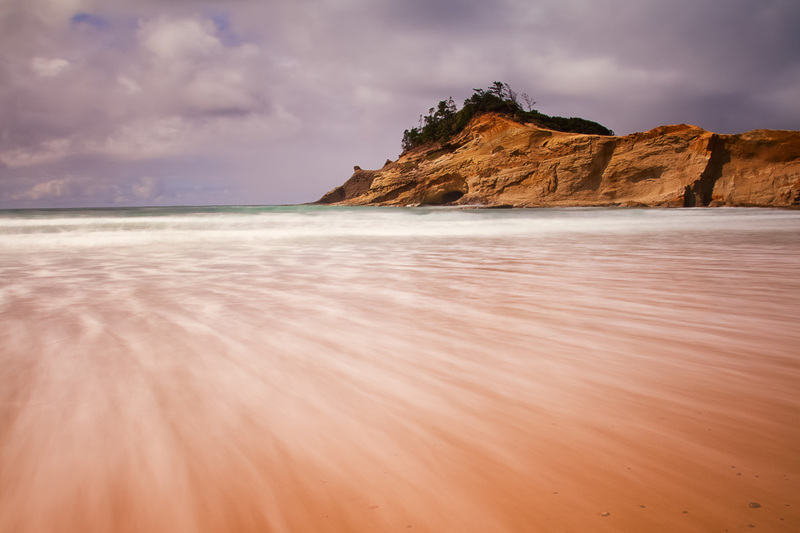 What is the best time of the year to visit the Oregon coast? Hmm good question. I would have to say May or September. During those months the weather is pretty nice. You’ll get days with nice clouds for sunset. During the winter months, there will be a lot of stormy days. During the summer, it can be foggy on the coast. My favourite trips to Oregon were in September. But every year I go through in November and again in April and sometimes it’s sideways rain and sometimes it’s really nice. You just never know at any time of year! Thanks Anne, you have given me a few new stops. I am flying from Australia in 2 weeks to begin a 7 week drive around the US. The Oregon and Washington are my first stops. 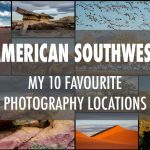 I agree with your choices for places in Southwest USA, I have been to 7 of them. Any tips for Minnesota and the Four Corners area? Hi Jenny, I haven’t been to Minnesota, sorry! There are two places in the 4 corners area I recommend. First, in New Mexico, is Bisti Badlands near Farmington. It’s truly astonishing and like no other place! Also, in Arizona, Canyon de Chelly is a beautiful location, although quite off the beaten track. I hope that helps! Have a fantastic trip! Hi Stephen, this should be a nice time of year to visit. I know once it heats up inland, it can be foggy on the coast, so hopefully you’ll get there before the fog season. Good luck!! 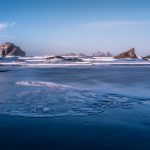 I also love the Oregon Coast and we often go to Brookings, Oregon for fishing with friends – and photography for me, of course! The Harris State Park in Brookings is wonderful – a place to camp and the beach is beautiful. Well worth the stop. It is right off the highway. 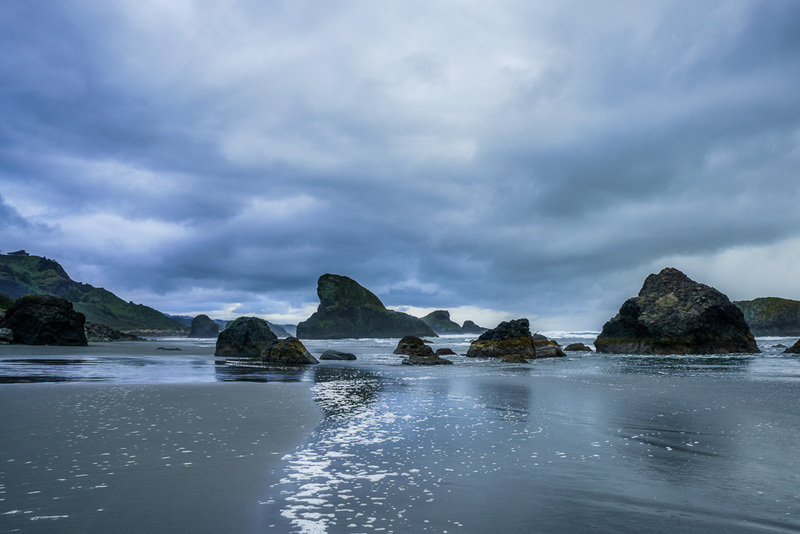 Also before you get to Brookings (you will need to google for directions) there is a great location called the “Secret Beach.” That is what you will put in your Google search – “Secret Beach near Brookings, Oregon.” You have to watch closely for the pull-off, limited parking and no sign. I guess that is why it is a secret! 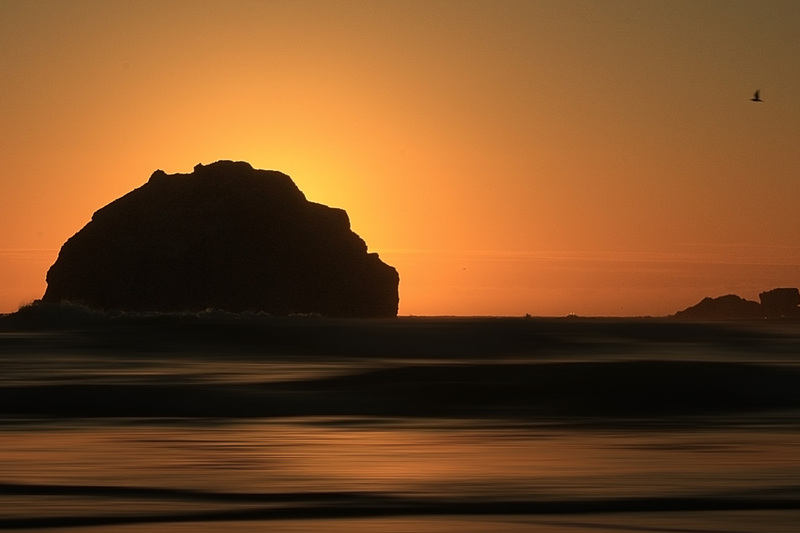 Beautiful photo opportunities here with very big rocks close to shore. The reviews say it is very steep – which I guess it might seem so to non-hikers but I am 68 and by taking a reasonable amount of care I found it quite easy to navigate. I know you would love it! Hi Jean, thanks for the suggestions! We actually went to Harris State Park on our last visit, but they were renovating the park so much of it was closed and there weren’t any spaces big enough for us. But the beach did look really nice. It’s on our list for next time. I haven’t heard of secret beach though, so many thanks for that. I’ll be sure to check that out! Many thanks for the offer of your driveway in Glacier!! We might just take you up on that. We’ve only been once, during our first year when we went around North America. Soon we’re thinking of doing that trip again. We have to be away from home for a whole year for that trip. Anne, this post is so timely! I am currently in Bend and heading to the Coast but have only been to the Oregon Coast once. As a fellow photographer, your images and information will guide my trip. Very well done post. I can definitely agree with your 8 locations. I, like you, love Cannon Beach. I could possibly wear out a camera there. One of my favorite locations is just south of Cannon Beach at Hug Point State Recreation Area. I’ve been there numerous times and am never disappointed. You may want to check that place out when you get a chance. Thanks for the suggestions Michael! I actually had a plan to visit Hug Point during my last trip through Oregon in the spring, but then the weather turned so I didn’t end up going. Hopefully I’ll make it there in the fall. It’s definitely on my radar! I never knew Oregan had such beautiful beaches. I have family that is looking to relocate to Oregan. When they do, it will give me the perfect excuse to visit some of those beaches. Thank you for sharing. Oh yeah, Oregon beaches are amazing! I’ve hardly seen any of the inland part of Oregon because I can’t get off the coast 🙂 Glad you enjoyed the photos and thanks for your comments. Anne, Always love your photos and enjoy your newsletters. If you don’t mind me saying, you do the best videos. You always present things in such a clear but easy way. I live in Bend, Oregon and would love to see some work from you of this area (the falls, the lakes, the cascades, Smith Rock). You should really consider coming through this area and then back up the coast back home. Best time here is April/May (chilly but snow on the cascades still and Cascade Lakes Scenic Byway usually opens past Mt Bachelor during that time). I know you would do this place justice. Thanks for the article and stunning photos. Now I’m going to plan a trip up the Oregon coast with your article as my guide. Thank you so much for your kind words about my videos Laura! I really appreciate that. I’ve just been starting to do videos on a regular basis these past few months. I haven’t been to the Bend area of Oregon at all! But I would love to do that next spring on our way back north. We usually come up the coast in April. It might be a little early, but snow on the cascades will make it all worth while. Thank you for the suggestions! Hi Bill, I hope you do get a chance to go over to the coast because it is amazing! I haven’t spent much time inland in Oregon myself, so I need to explore that area a bit because a lot of people say it is beautiful as well. Thanks for your comments. I just went to Oregon in July (and Alaska) for the first time and fell in love with Oregon. I’m from Florida so it was quite different for me. 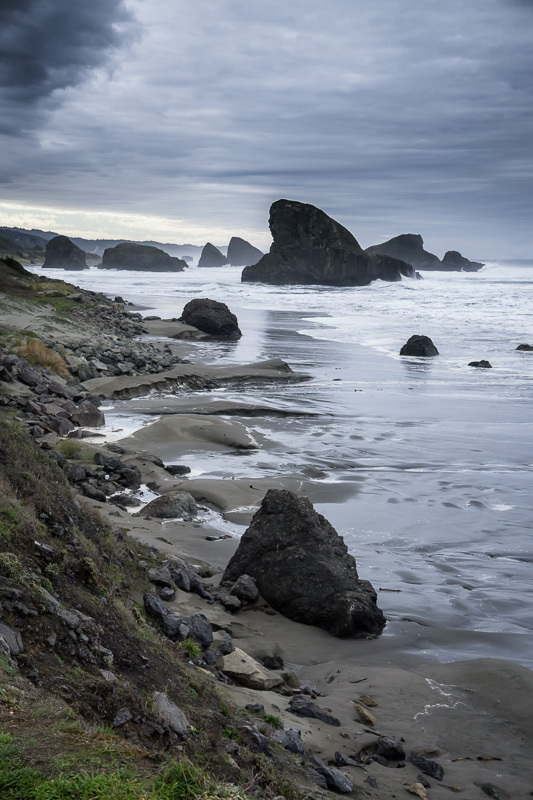 One of my favorite spots was Seal Rock Oregon, you must check that out! Another is Arcadia Beach State Recreation Area in Seaside Oregon. You can see some pics on my Instagram. Thanks for a great article.